A Treasury decision to delay the effects of sanctions on Rusal and allow it to disentangle itself from Oleg Deripaska has boosted the shares of the Russian group. But it leaves U.S. policy harder to gauge. That doesn’t augur well for next month’s crunch decision on Iran. President of En+ Group, Oleg Deripaska attends an agreement signing ceremony with the Krasnoyarsk region's government, in Moscow, Russia December 12, 2017. 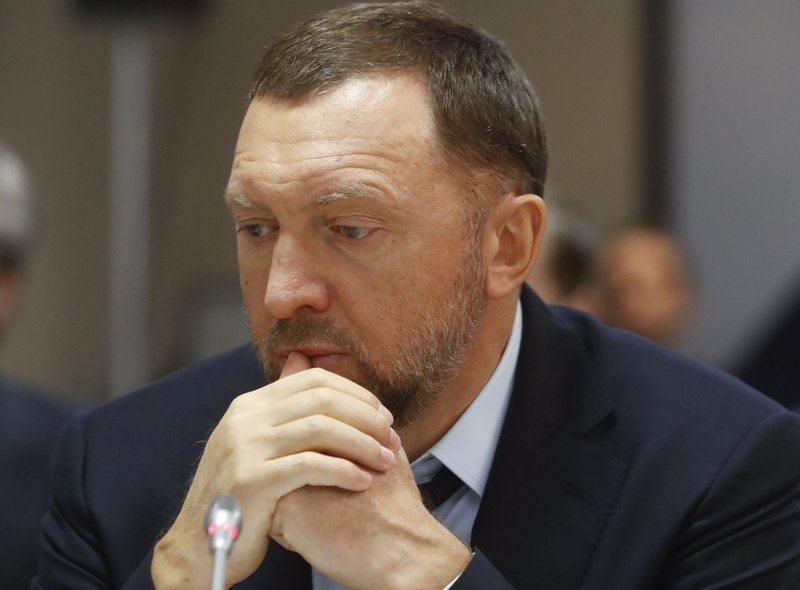 Russian Industry and Trade Minister Denis Manturov on April 24 said he would not rule out the possibility that the state could buy a stake in Rusal from top shareholder Oleg Deripaska, Interfax news agency reported. Manturov said there has been no detailed discussion on the subject yet, Interfax reported. The United States said on April 23 it would consider lifting sanctions against Rusal if Deripaska ceded control of the company, and gave American customers of Russia's biggest aluminium producer more time to comply with sanctions. Rusal shares listed in Hong Kong jumped by 43 percent on April 24 to 2.1 Hong Kong dollars ($0.27). They were trading at 4.6 Hong Kong dollars on April 6, before the U.S. sanctions were announced. Aluminium on the London Metal Exchange was trading at $2228 a tonne, compared to $2537 a tonne on April 18. The U.S. Treasury gave Americans until Oct. 23 instead of June 5 to wind down business with Rusal. It said it would not impose sanctions on non-U.S. entities engaged with Rusal or its subsidiaries. Oleg Deripaska controls Rusal through En+, which owns a 48 percent stake in the aluminium producer.